If you build brick, stone or brick models for your railway the finish is all important. Normal paint is okay but texture paint gives an infinitely better result. But what about that cost! 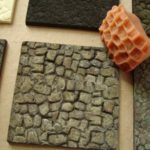 Textured paints produce a much better look than usual paints for brick and stonework, adding dimensionality, depth and ultimately realism to your models. 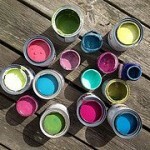 (If you’re confused by the different types of paint watch this introduction to the different sorts). The downside is that texture paints aren’t cheap. A quick look along the shelves of my preferred model shop reveals a hike of £2 to £4 per bottle over none-textured paints. On even a moderate size layout this will mount up quickly. And, as I’ve said before, model railways aren’t cheap and if I can do something myself and save money that would better be spent on trains then I’m going to find a way. In the past I’ve tried making textured paint — how hard can it be right? — but I’ve always struggled to get a good result. Just adding a powder to paints just produced a gloopy mess. 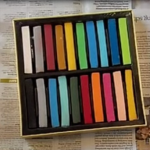 So this video on making your own textured paint is right up my street and hopefully yours.